This bike (together with Hagakure) started the boardtracker craze! Think Goldammer, Krugger, Cook etc. 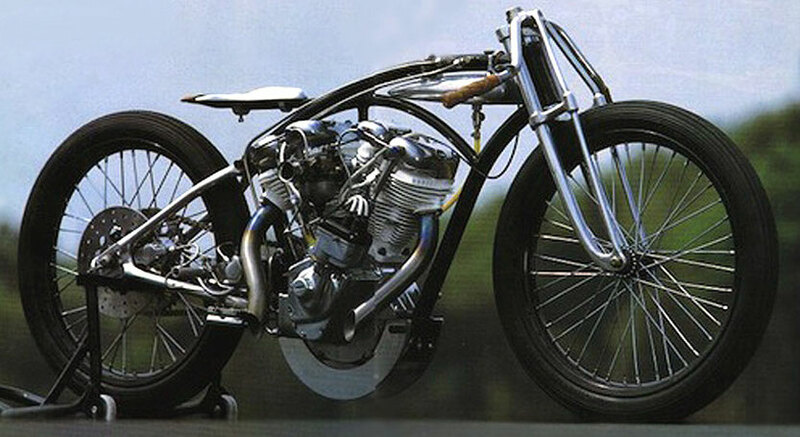 The bike was designed by Mike Rimaldi, and built by Denny Berg for the Cobra exhaust company.